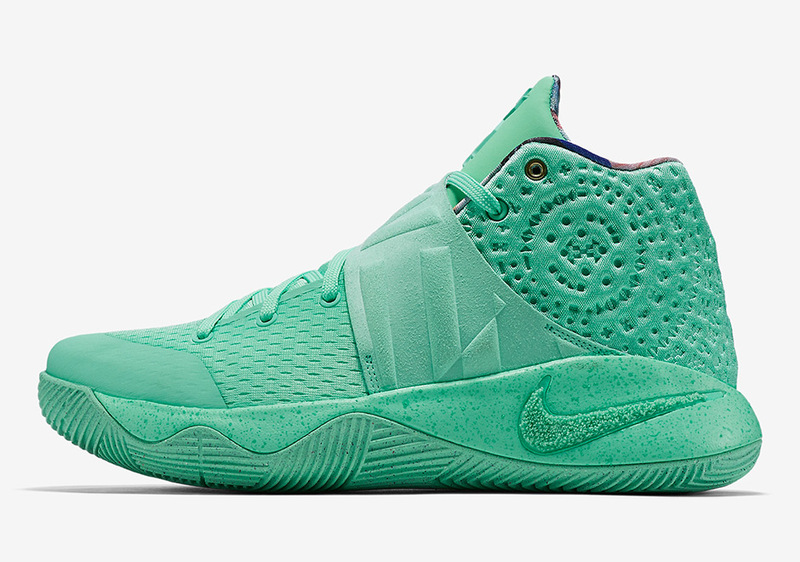 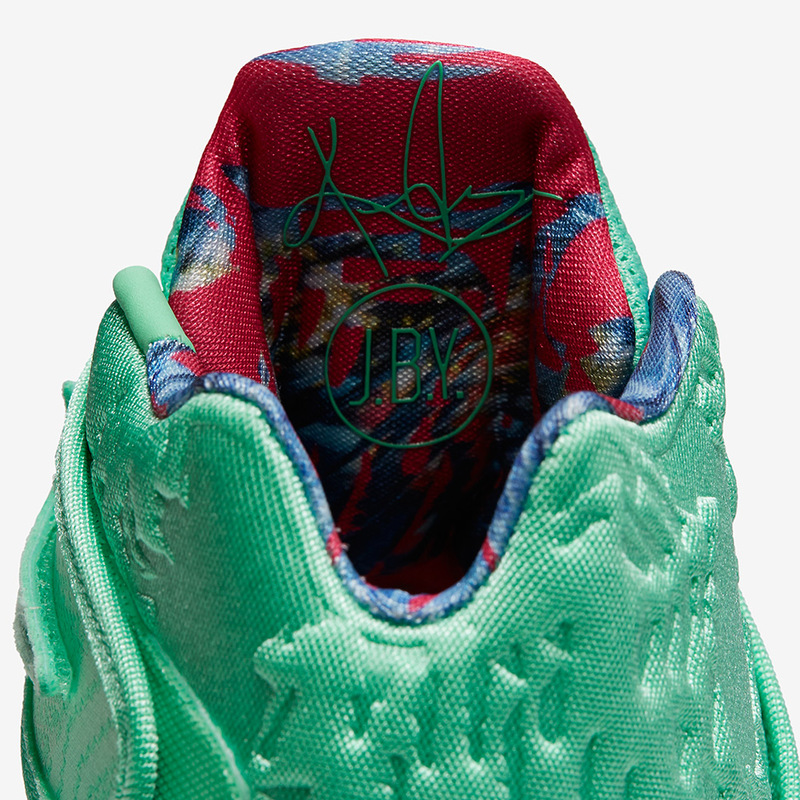 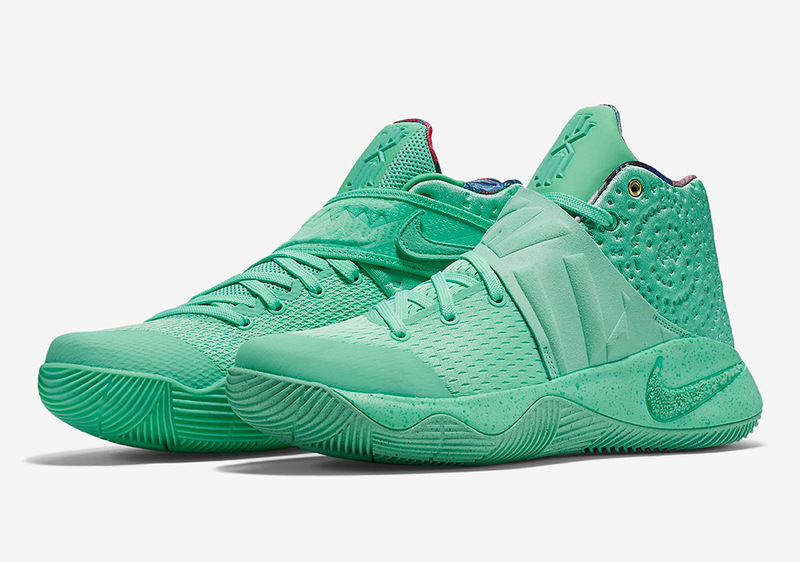 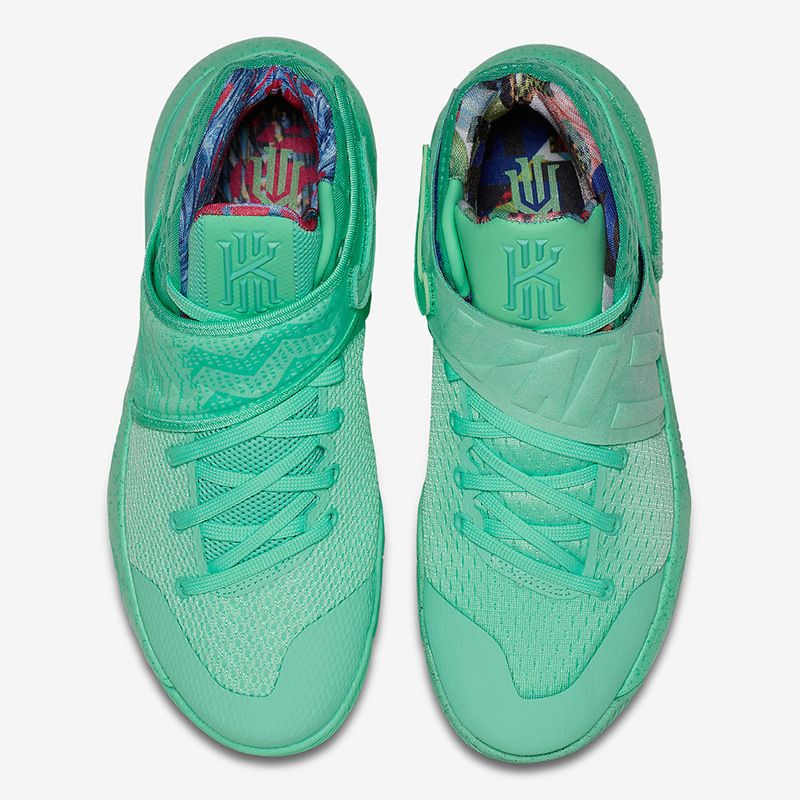 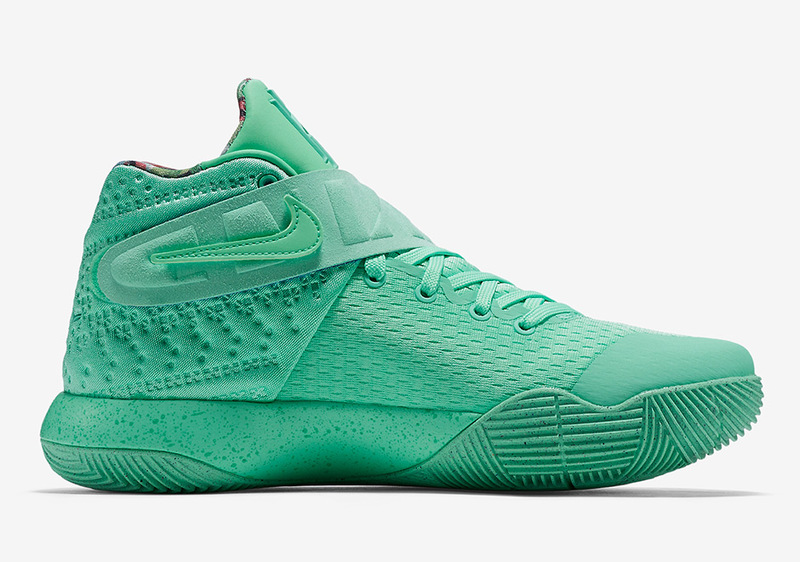 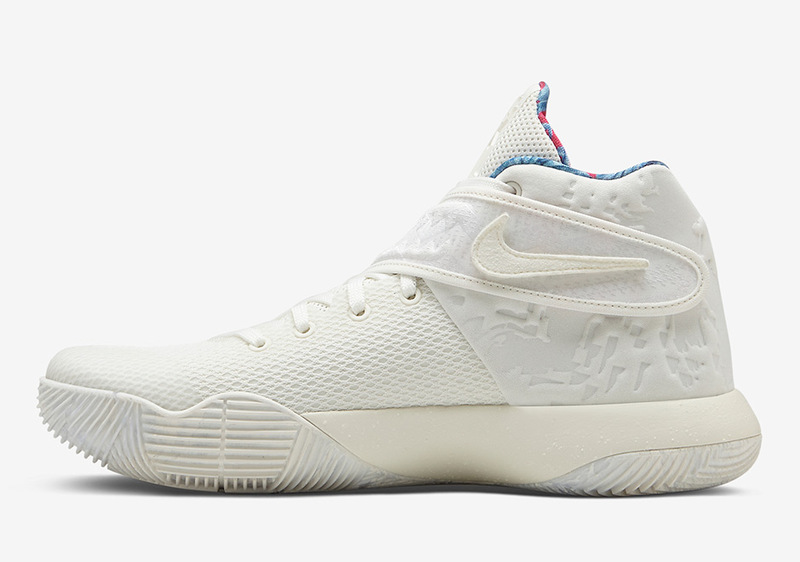 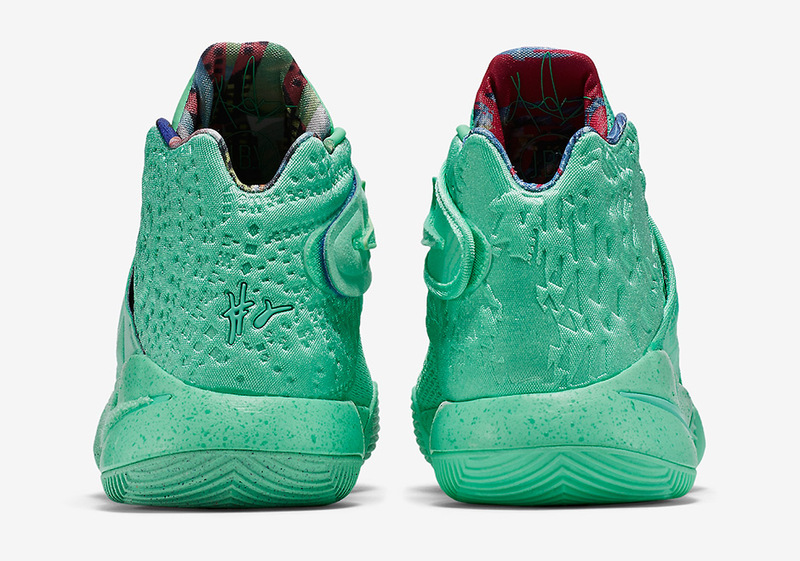 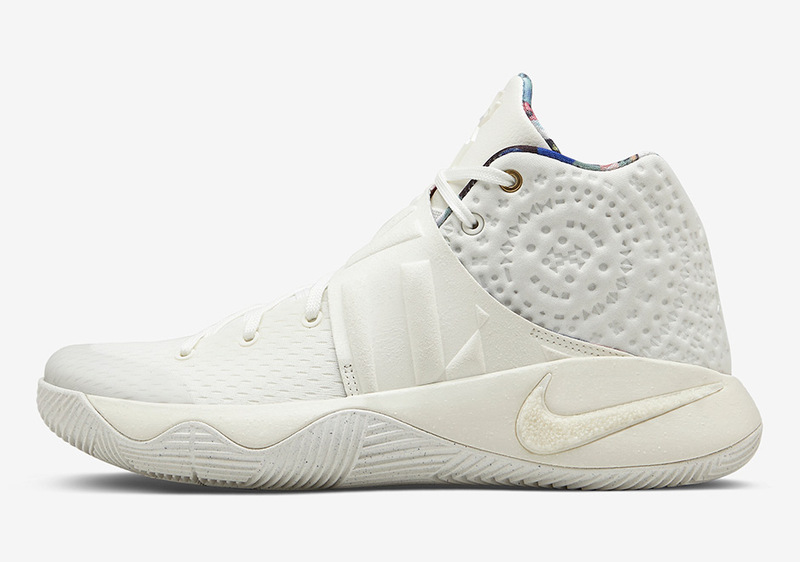 The “What The” Kyrie 2 is set to release on December 12th in a minty green colorway. 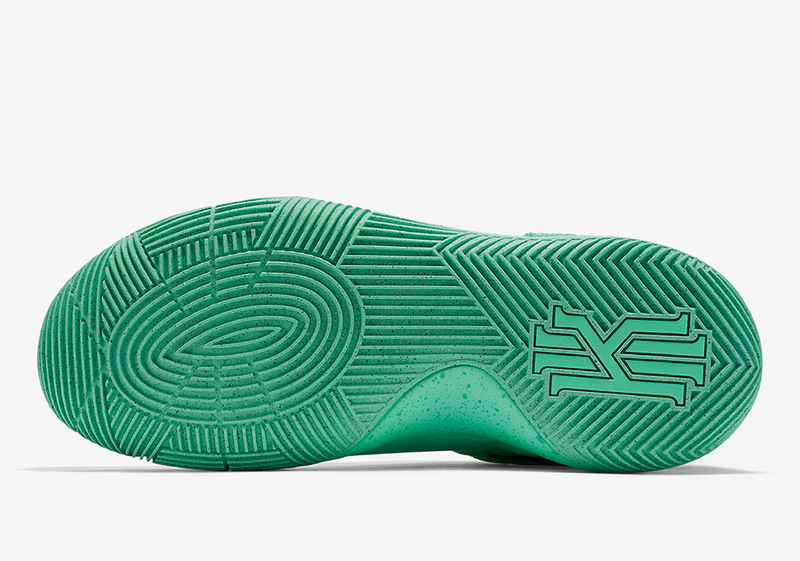 As it turns out, there are two different versions of the shoes – the aforementioned green pair and the milky white version that Nike revealed a while ago as part of the 12 Soles collection. 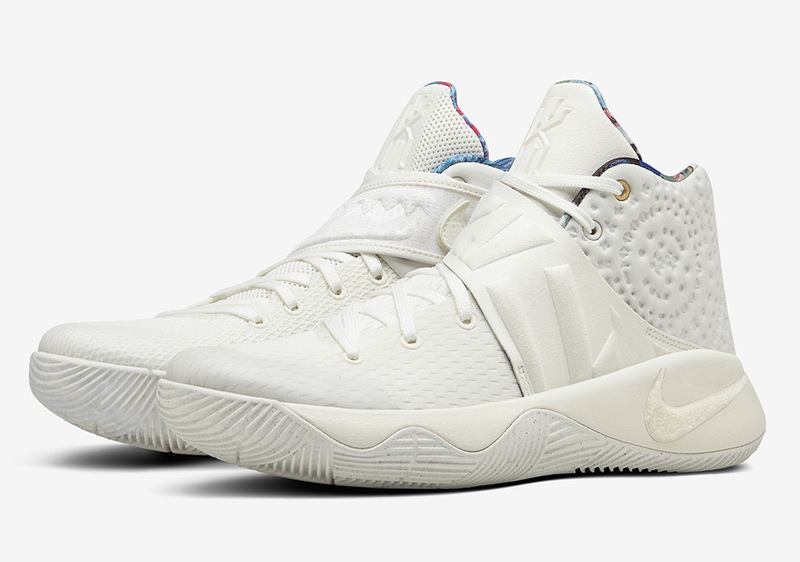 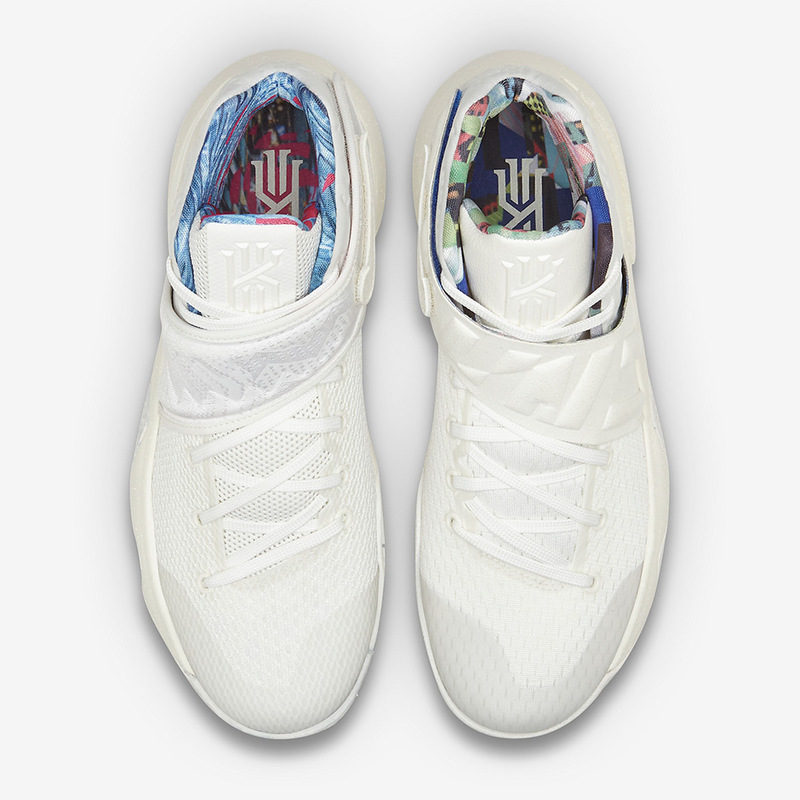 While the green pair will be a global release, the white version is limited to North America, so Kyrie fans have two options to chase after before the Kyrie 3 comes into play. 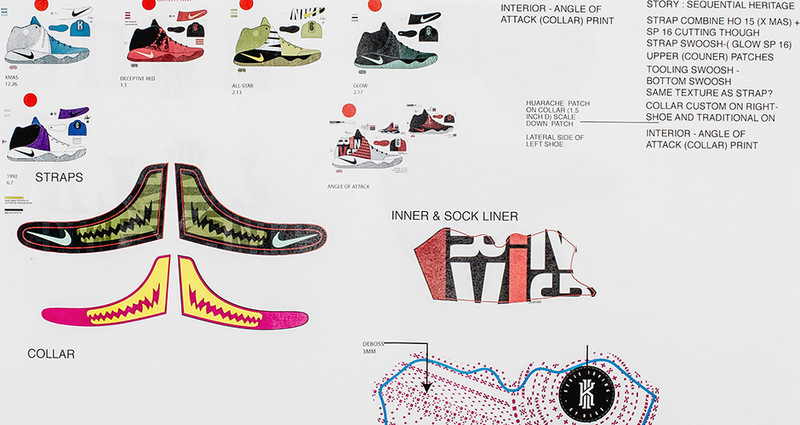 Nike design director Leo Chang notes that the for the latest iteration of “What The”, Nike wanted to do something that no sneaker customizer can do. 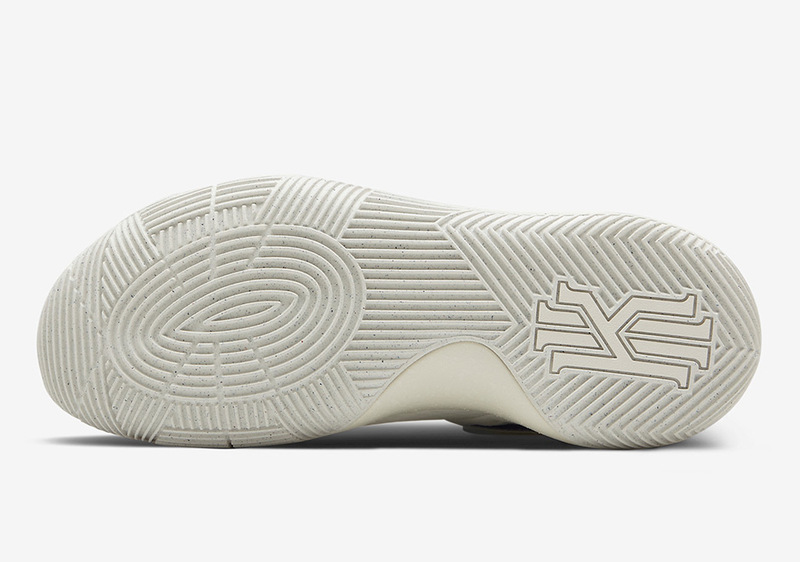 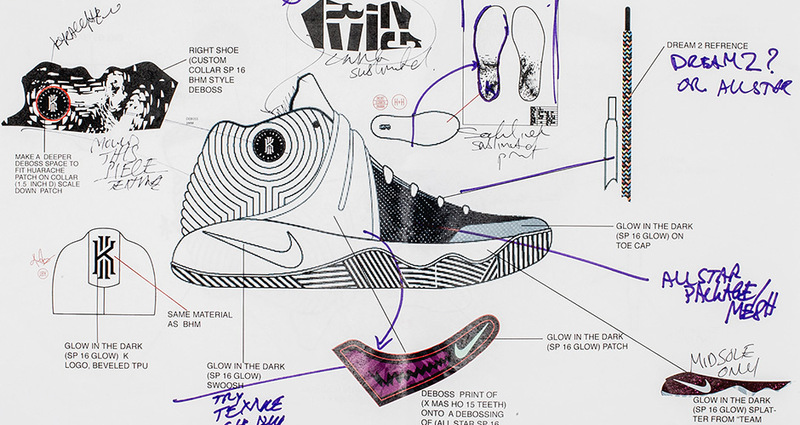 While keeping the colors monotone and simple, Nike opted to give the shoe 3-D flair by bringing on details of past Kyrie 2 releases, like the chenille swoosh on the midsole, the “ice monster” strap, and more. 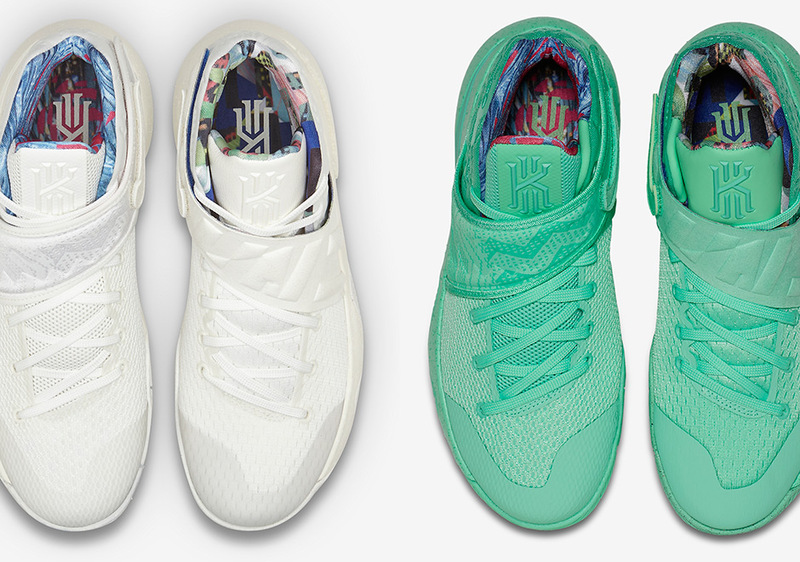 Check below for a detailed look at both colorways and a breakdown of the design. 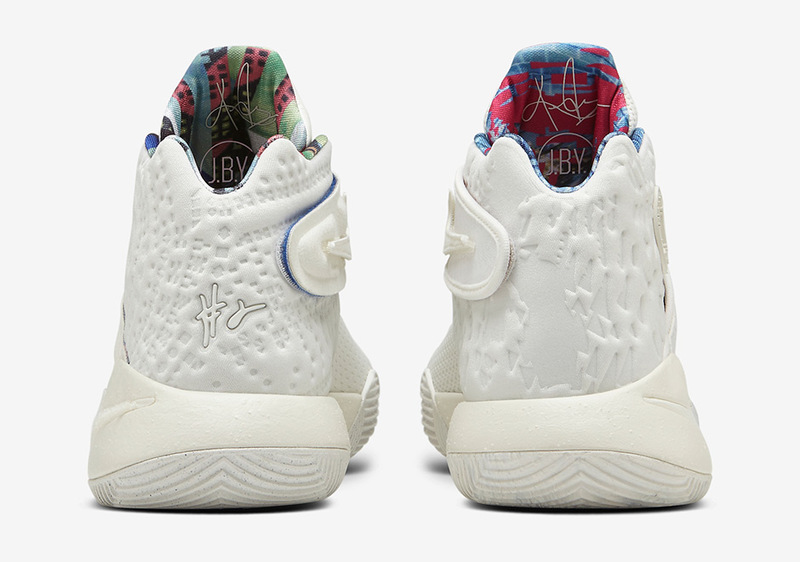 The “What The” Kyrie 2 releases on December 12th in both shades.